Yesterday was a smelling day. It didn't start out that way, but it most certainly ended that way. "What is a smelling day" you ask? Basically it is just what it sounds like: a day where your super smelling senses are working on over load, where you are uber aware of the scents around you. Yesterday was another sick day... I am beginning to think my stomach and I need some counseling- we haven't been friends for the past week or so... which means I wasn't out and about much. I did a lot of sleeping when Keith wanted to sleep, and a lot of reading with him. That evening Jeffrey wanted to go see Star Trek- yes, my husband is a Treky. He can't be completely perfect, you know, he has to have at least one flaw. Just then two guys came in and sat about 6 rows in front of us. I immediately became a beagle sniffing the air, trying to figure out where that sickly sweet smell that was tickling my nose so much was coming from. It then dawned on me that I was smelling pot. Don't ask how I know what it smells like, because not even I know that. One of the guys got up and left to get some popcorn, and the smell was gone. Lightbulb clicked on above my head. I think everyone heard it. I told Jeffrey that I didn't have a stuffy nose, I was sniffing because I needed to find the source of the pot smell, I found it, and so we had to move from our beloved spot. He agreed, and we moved down a couple of seats. The beagle instincts checked the area and we were safe. We then watched the movie with only the smells of stale popcorn, thousands of people's body odor, and our marshmallows that we brought for a snack. Trust me, all those smells combined were much better than the pot smell. 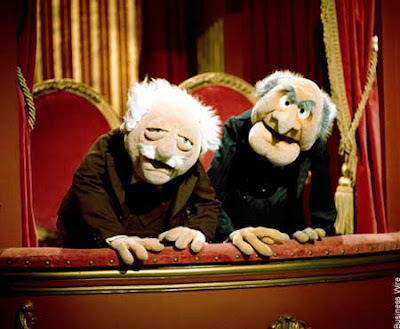 Jeffrey had to endure the whole movie with Statler and Waldorf coming out of my mouth, but I think it kept us both pretty entertained where the movie may not have. As we left the theater (marveling at all the weird people who go to late night movies) my nose was again assaulted. This time it was by the most pungent beautiful smell in the world. It had been raining while we were trying to ignore plot holes and poor acting, and stepping out of the theater smells into the fresh scent of clean air and rain was the most delicious thing ever. I walked to the car with my head tipped back, breathing in the air as if it were my very life blood. I narrowly missed running into a tree from staring at the red glow of city lights on the deep purple clouds. 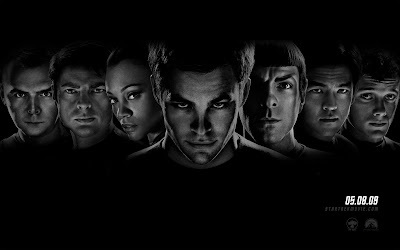 And that is why yesterday was a smelling day, and why Star Trek is not going down on my list of Worst Movies Ever. I totally know what you mean! Sometimes I can't even stand the smell of my own house- so I have to turn on the fans and open the windows. By the way, how is the selling of the house coming along? Stopping by from SITS. Love your bright birdie header. i don't understand how people can't smell themselves, i mean that stink that seems to be wherever you are- its you! !